The Clayton Civitan participates in a wide variety of local fundraising and charitable events. We have a long, proud tradition of supporting the greatest of needs in the Johnston County NC area. Programs supported by the Civitan include Special Olympics, Relay for Life, Juvenile Diabetes Foundation, and Boys and Girls Home. 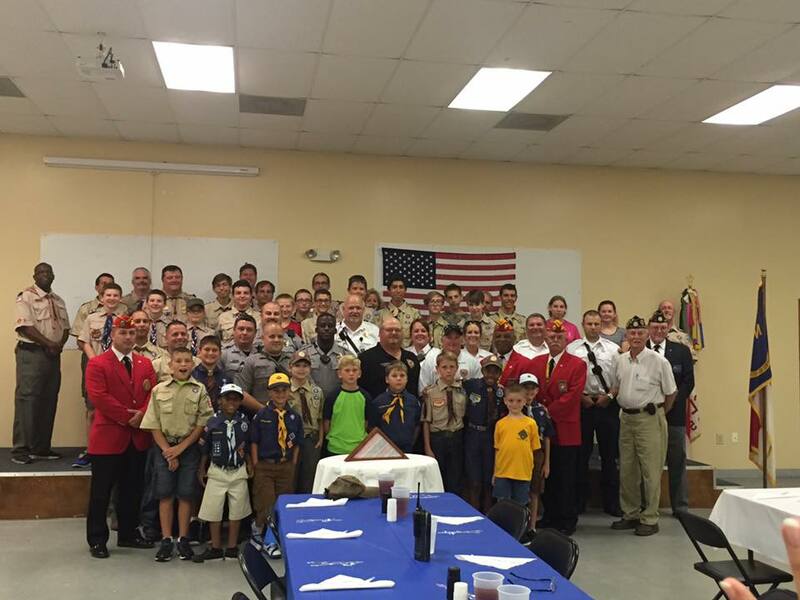 Clayton Civitan, Cub Scout Pack 24, Boy Scout Troop 24, and Venture Crew 24 hosted a 9/11 dinner honoring and thanking our local first responders for their service to our community. Glenn Daniels, EMT and Assistant Cubmaster of Pack 24 spoke of his memories of the day and his service near ground zero. The scouts prepared and served a delicious meal to local police, firefighters and EMS workers.